We have just learned of the wonderful work RHS classmate, Karen Erickson is doing in Africa and have her permission to post her link for "Goats for Widows". Check out her web site at www.helporphansandwidows.org/ . Wonderful story and photos. Have a story to share? Contact us. For more than 40 years Charles Bowar of Kennebec recorded the daily temperature and precipitation data, including snowfall, snow depth and evaporation, to the National Weather Service office in Aberdeen. Last week, Bowar, 77, was recognized by NOAA by being named the 2010 recipient of the agency’s Thomas Jefferson Award for outstanding service in the Cooperative Weather Observer program. The award is the agency’s most prestigious, and only five are presented this year to deserving cooperative weather observers from around the country. James Scarlett, meteorologist in charge of NOAA’s Aberdeen National Weather Service office, presented the award on Tuesday Sept. 7 during a ceremony at the Community Center in Kennebec. Aberdeen’s Data Program Manager Tim Kearns nominated Bowar for the award. Bowar established the Kennebec observing site May 1, 1969. His reports have provided important data to Aberdeen forecasters, hydrologists and climate scientists. Over the years, the Korean War veteran has provided nearly 15,000 daily reports to the National Weather Service. The National Weather Service’s Cooperative Weather Observer Program has given scientists and researchers continuous observational data since the program’s inception more than a century ago. Today, some 11,700 volunteer observers participate in the nationwide program to provide daily reports on temperature, precipitation and other weather factors such as snow depth, river levels and soil temperature. Many historic figures have maintained weather records, including Benjamin Franklin, George Washington and Thomas Jefferson. Jefferson maintained an almost unbroken record of weather observations between 1776 and 1816, and Washington took weather observations just a few days before he died. The Jefferson and Holm awards are named for these weather observation pioneers. in temperature, precipitation and other weather factors such as snow depth, river levels and soil temperature. Funeral services for Virginia Hall, 63, of Mitchell formerly of Reliance, will be Monday, September 20, 2010 at 2:00 p.m. with visitation beginning at 1:00 p.m. at the Reliance Methodist Church in Reliance, SD with burial in the Reliance Cemetery at Reliance, SD. Virginia L. Soulek was born November 4, 1946 at Kimball to Harvey and Virgie M. (Toupal) Soulek. She attended grade school and high school at Chamberlain. Virginia met Dennis Hall and they dated for a year before marrying on November 28, 1964 at Kennebec. They made their home in Reliance for a year and a half and then moved to the Hall family farm north of Reliance. They became partners with Dennis’ father in the dairy business. During their time on the farm, Virginia enjoyed working at Wedmore’s Hardware in Chamberlain for Allen Renner. In 2000, Dennis and Virginia sold the farm and moved to a home by Cedar Shore in Oacoma. They remained there until relocating to Mitchell in 2006. Virginia and Dennis loved to winter in south Texas where they made many close friends. They continued to winter there until Virginia’s health forced them to remain close to home. She was active in the Reliance Methodist Church at Reliance. Virginia never wanted recognition for anything she did. She just wanted to help others. Virginia passed away on September 16, 2010 at Avera Queen of Peace at Mitchell, SD at the age of 63 years. Gratefully sharing her life are her husband Dennis of Mitchell; two daughters Michelle Bortnem and Blair of Mitchell, Pam Kohlrus and Troy Rethke of Mitchell, SD; a son Randy Hall of Reliance; a brother Harvey Soulek and Nita of Casper, WY; a sister Diane Dyer and Bill of Michigan City, IN; three grandsons Sean and Eric Bortnem and Trevor Kohlrus; and many nieces and nephews. Preceding her in death were her parents and her brother Kenneth Soulek. Hi, I am doing a family tree and need to know if any of you know what my grandpa walter berg's parents names were? Can you please let me know. Thank you. Gayle Mohr and Chris Eymer are active members of the Reliance community and have been for years. Sunday, the local Modern Woodman Camp of Reliance named them Hometown Heros for all they have done for the Reliance community over the years. Tonya Ness of MWA and the local board, presented the Gayle and Chris with the award during the annual Reliance Children’s Christmas Play held at the Legion Hall Sunday afternoon. In addition to the certificate the couple receives $100 to donate to a charity of their choice. The Reliance Area Community Development (RACD) group, which Gayle and Chris are founding members, was awarded the donation. Barbara & I send our condolences to Evelyn's family. They lived next door to Henry & Katy Stallman in Reliance during our teen years, and we remember them fondly. Funeral services for Evelyn Stienfeld, 80, of Chamberlain, SD were 10:00 a.m. Tuesday, February 22, 2011 at St. James Catholic Church in Chamberlain with burial in the Riverview Cemetery at Chamberlain. Visitation was Monday, February 21 at St. James Catholic Church in Chamberlain from 5:00 to 7:00 p.m. with a 7:00 p.m. scripture service. Evelyn Maree Bruce was born on October 5, 1930 to Leon and Mildred (Arons) Bruce at White River, SD. She was raised in Mission, SD where she graduated from Mission High School in 1948. After graduation, she attended Rapid City Business School for a year. Evelyn then began working for M.Q. Sharpe in Kennebec as his secretary until 1952. She was united in marriage to Lyle Edward Stienfeld on May 1, 1951 in Kennebec, SD. Together they moved to Reliance where they had a small farm. In 1970, Lyle’s job brought them to Chamberlain where she lived out the remainder of her life. Over the years, she enjoyed taking care of her children and grandchildren. Evelyn volunteered her time to help at the courthouse during elections. Evelyn was a member of St. James Catholic Church for many years. 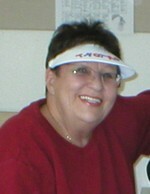 Evelyn passed away on February 17, 2011 at Avera Queen of Peace Hospital in Mitchell at the age of 80 years. Gratefully sharing her life are her children Georgia Simpson and Randy of Oacoma, John Stienfeld and Sally of Oacoma, Judy Steckelberg and Bruce of Chamberlain, and Jeanne Vermillion of Chamberlain; 12 grandchildren; 11 great grandchildren; and two sisters Edna Lillibridge and Ruby Jansen. Preceding her in death were her parents, husband, and a brother. We send our condolences to Jackie's family. A rosary was held on Thursday, March 3 at the Lower Brule Community Center for Jackie Jandreau of Lower Brule, SD, who died on Wednesday, March 2 at the Sanford Medical Center in Chamberlain. Funeral services were held on Saturday, March 5, 2011 at the Lower Brule Community Center with burial on the Jandreau Ranch west of Lower Brule. Jackie R. was born on July 18, 1949 at Chamberlain to Phillip Norbert Banks, Jr. and Velda Langdeau. She lived her entire life proudly at Lower Brule. She attended elementary school in Lower Brule and high school in Lower Brule and also Reliance. On August 19, 1964, Jackie was united in marriage to Michael B. Jandreau at Pierre, SD. Together, they raised their family and many other children near High Elk Creek. Jackie worked as a teacher for Headstart, on the Lower Brule Ambulance Crew, and as a mental health technician for I.H.S. contract. She loved to do crafts and beading which she created a small business out of. Jackie was an avid card player and enjoyed playing Rummy. She was one of the best cooks around. She would cook for anyone and anything. Jackie was the strongest supporter of the chairman of the Lower Brule Sioux Reservation than anyone in Indian Country. Gratefully sharing her life are her husband Michael B. Jandreau of Lower Brule; four sons Michael L., Patrick, Jerauld, and Jeffrey; three daughters Rhonda, Amy, and Mary Jo; five sisters Robin Middletent, Emma LaRoche, Lana LaRoche, Marilyn Whitney, and Dorcus Bingen; two brothers Harvey LaRoche and Tony LaRoche, Jr.; 18 grandchildren; and 9 great grandchildren. She is also survived by two aunts Phyllis Crazy Bull and Mary Shields; an uncle Harvey Langdeau; and a special cousin Phillip Langdeau. Preceding her in death were her parents, sons Kim and Martin, and siblings Rita Ollerich, Marlowe “Sam” LaRoche, and Louie Laroche.